I'm SO excited - I'm a faithful follower of SEVERAL really good and fun blogs with one of them being Marybeth Whalen's "Cheaper by the Half Dozen" blog. She and her husband Curt from Learning to Live Financially Free have been such an encouragement to me to personally get our finances in order. They have such an awesome family and I have been blessed by the Proverbs 31 ministry that Marybeth is involved in. 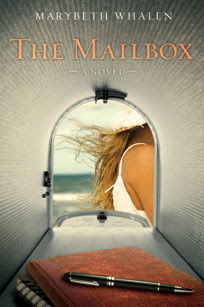 I was on Marybeth's site one day and she was having a giveaway of her new novel "The Mailbox" - I entered and I won...WOO HOO!!! Thank you Marybeth - I'm so excited to have the novel and am looking SO forward to reading it!!! Kim! This is great! Thanks! My Review of "The Mailbox"